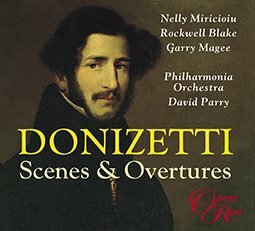 Born in Bergamo in 1797, Donizetti studied under Mayr and had his first success in 1822 at the Teatro Argentina in Rome with Zoraida di Granata (original version available on Opera Rara ORC17). 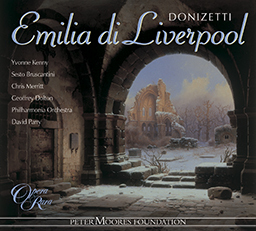 That success led to a contract in Naples and a number of well-received works, including Emilia di Liverpool (Opera Rara ORC8) and La romansesca e l’uomo nero(Opera Rara ORC19). 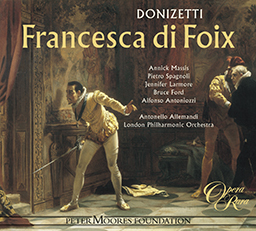 After he broke with Naples, the tragic Anna Bolena (1830) won Donizetti international acclaim following its premiere in Milan. 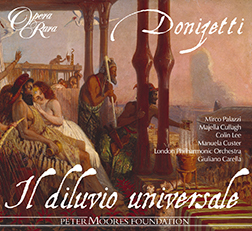 But his next opera for Milan, Ugo Conte di Parigi (Opera Rara ORC1), flopped in spite of inspired and energetic vocal writing. 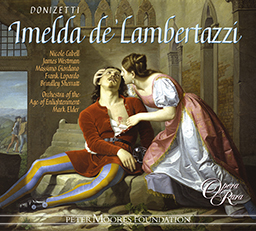 During the 1830s Donizetti’s style matured, a period that saw the production of such well-known works as L’elisir d’amore (1832) and Lucia di Lammermoor (1835) as well as Rosmonda d’Inghilterra (Opera Rara ORC13), L’assedio di Calais (Opera Rara ORC9), and the singular Maria de Rudenz(Opera Rara ORC16), an opera in which the heroine dies twice! 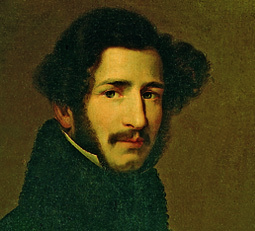 Denied the directorship of the Naples Conservatory in favour of Mercadante, he left for Paris where he had mixed success. 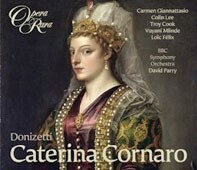 He wrote La fille du regiment (1840) but failed to finish his comic opera Ne m’oubliez pas (Opera Rara ORC4). 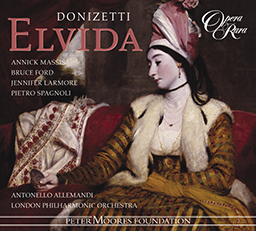 In Milan he encountered censorship troubles with Maria Padilla (Opera Rara ORC6), premiered at La Scala in December 1841. 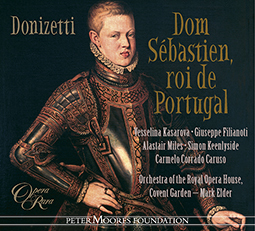 The following year he triumphed in Vienna with Linda di Chamonix (Opera Rara ORC43) and was appointed Kapellmeister to the Austrian court. 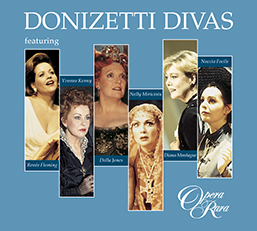 Donizetti’s final years saw the production of his comic masterpiece Don Pasquale (1843) and Maria di Rohan (Opera Rara ORC44), a powerful romantic drama. Dogged by ill-health, he returned to Bergamo in October 1847 where he died the following spring. 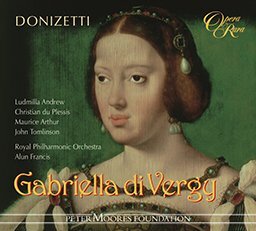 Donizetti left 70-odd operas, among them the unperformed Gabriella di Vergy, a work rediscovered and given its world premiere recording by Opera Rara (ORC3).